QUEEN + ADAM LAMBERT will perform during at the 91st Academy Awards, the Academy announced on Monday. The QUEEN biopic "Bohemian Rhapsody" is up for five Oscars, including "Best Picture". Rami Malek, who plays Freddie Mercury, in the film is considered a front-runner for the Best Actor trophy for his portrayal of the late singer. "Is this the real life? Is this just fantasy?" the Academy teased on Twitter, quoting the classic QUEEN song "Bohemian Rhapsody". "We welcome @QueenWillRock and @adamlambert to this year’s #Oscars!" 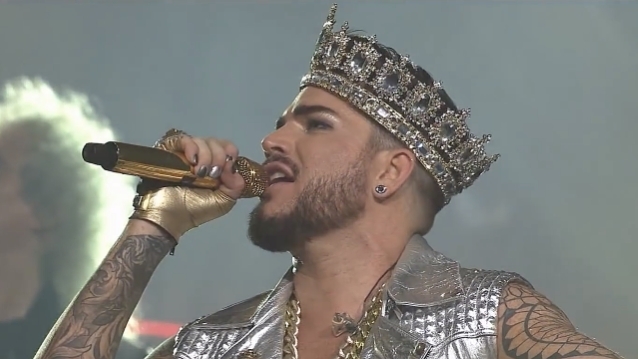 Meanwhile, Lambert tweeted, "We will rock the Oscars," and included an emoji and the date and time of the broadcast. The 91st Academy Awards take place on February 24 and air live on ABC at 8 p.m.
We will rock The Oscars ?